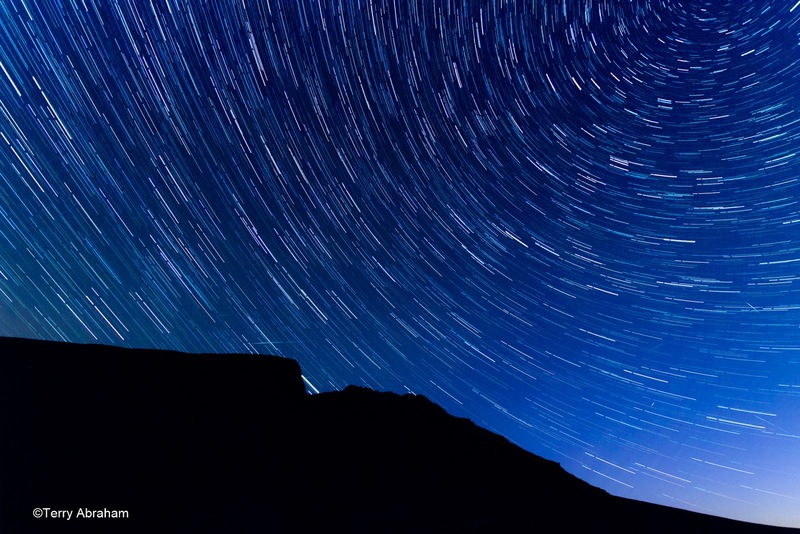 Star trails over Sharp Edge and Blencathra, Lake District National Park. Against the wishes of my aching body I set off for a brief soiree up Blencathra last Wednesday. 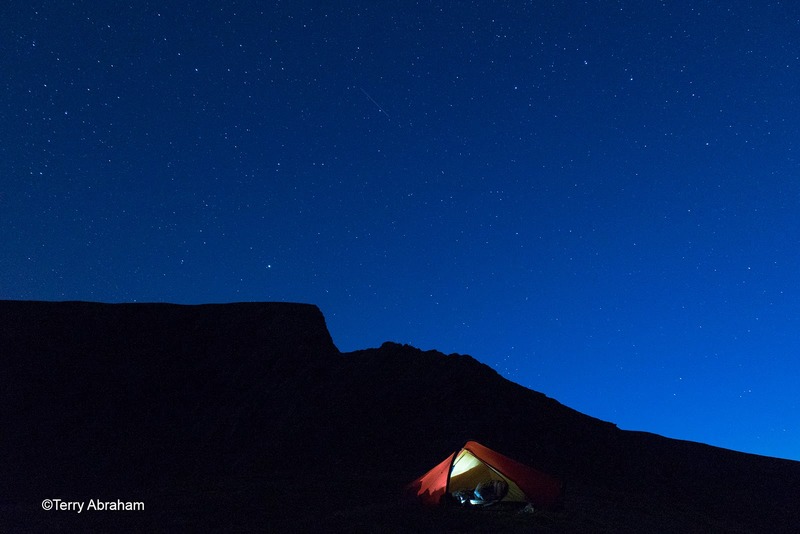 Forecasts were reliably indicating perfect conditions to observe the peak of this year’s Perseids meteor shower – excellent air clarity, clear skies, light winds with no intrusive moonlight. I’m pleased I made the effort of course. I’m desperate for a wee rest but I mustered the energy from somewhere and had support from my good friend Dan Richards from Lake District Cycling. I’ve been itching to capture some night timelapse scenes of Sharp Edge for quite some time. The slog up Mousthwaite Comb and onwards to the infamous arete wasn’t easy given my camera and camping gear – plus it was really warm out which made a change given how poor the past summer has been. Dan and me took it in turns to carry a significant chunk of my gear and eventually we reached a spot I’ve had my eye on for a while to camp the night; Brunt Knott. It affords a pleasing profile of Sharp Edge along with a large grassy area for pitching a tent. Water can be had from Scales Tarn nearby. As the sun sank behind the fells and then the distant horizon the Perseids meteor shower began to entertain the pair of us from our secluded knoll. In truth I’ve never seen anything like it with my own eyes. One after another meteors shot across the sky leaving behind radiant long streaks of fire. Often shooting stars appear in the blink of an eye but not tonight. They were so vivid I likened the meteors to fireworks! Sadly a remote trigger for one of my cameras failed and so I had to make do with what I had left. Thankfully the stills came out well and you can enjoy a peek of what I captured in a video below. 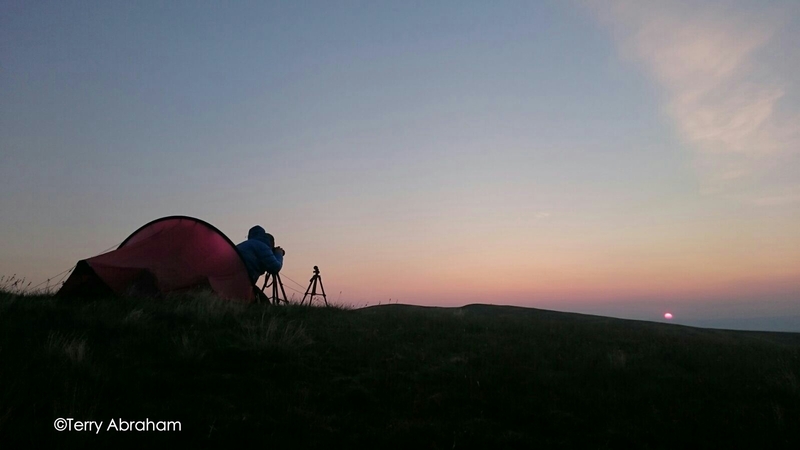 Setting up one of my cameras ready for capturing the night sky over Sharp Edge. 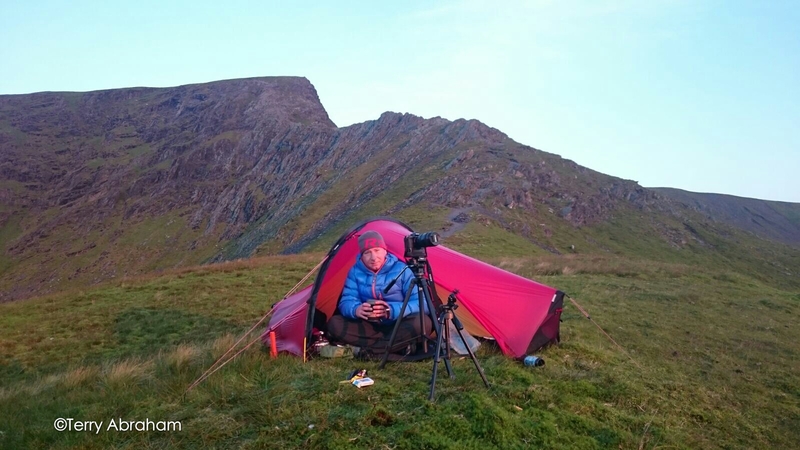 The Hilleberg Enan and Sharp Edge. Yours truly at camp in the morning. I didn’t get much sleep at all! 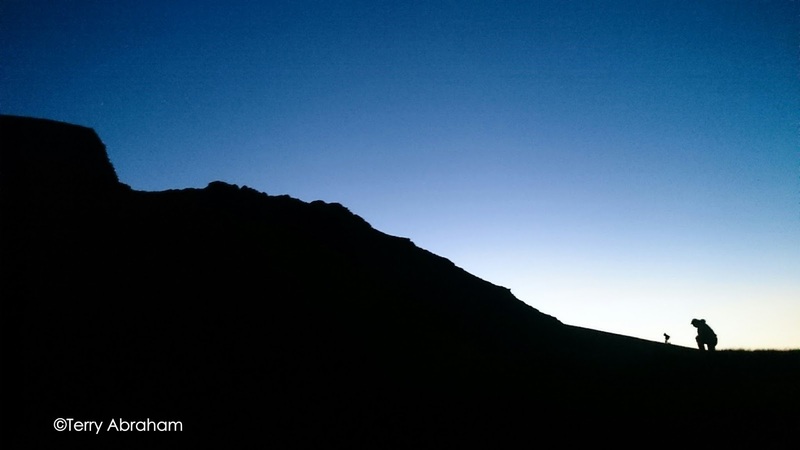 Capturing the dawn of a new day at camp on Brunt Knott.